I have another installment of my very exciting portrait project. I love my community and there are some amazing people making Rhode Island a wonderful place to live. I have decided to photograph the people who are really making “IT” happen here in my community in a (hopefully) creative and fun way that tells a story about who those people are and what they are doing for their little section of the world. Rabbi Wayne Franklin is a wonderful man. He is the kind of man that you immediately feel comfortable talking with. I have spent many hours conversing with him, and soaking up his warm intelligence. What strikes me about Rabbi Franklin is his openness to explore. He is always ready to dig deeper and look closely at humanity. As a non Jewish person, I have burdened him with many questions that he has tirelessly answered, and I am grateful for his generosity of spirit. 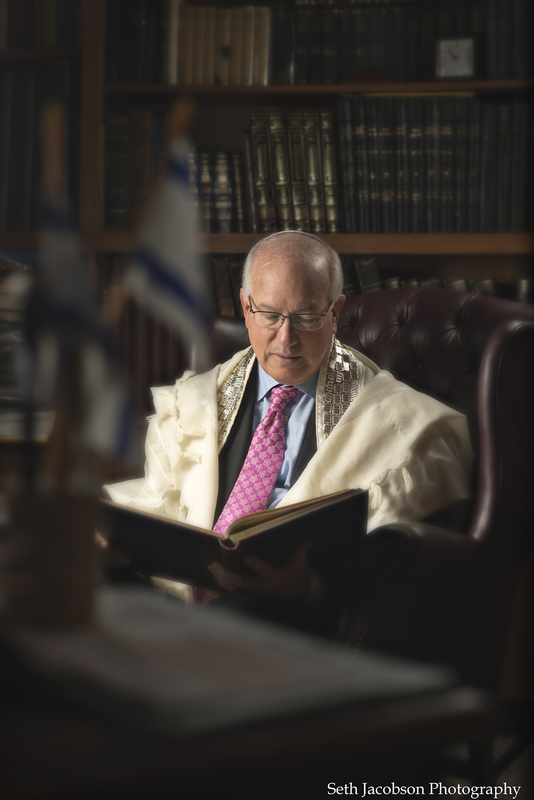 I am also impressed with not only the strength of his conviction, but the wealth of knowledge that he offers his congregation at Temple Emanuel in Providence. He is a scholar in the truest sense of the word, so when I photographed him I wanted his library to be included in our portrait. I think we created a beautiful portrait, and I am proud to share it with you now. Posted on October 8, 2014, in portrait photography, Rhode Island Portrait Project and tagged bar mitzvah, Bar Mitzvah photo, bat mitzvah, photography, portrait photographers, portrait photography, portrait project, providence ri, Rabbi Franklin, rhode island, Temple Emanuel, Wayne Franklin. Bookmark the permalink. 3 Comments. You are very kind, I appreciate the words!